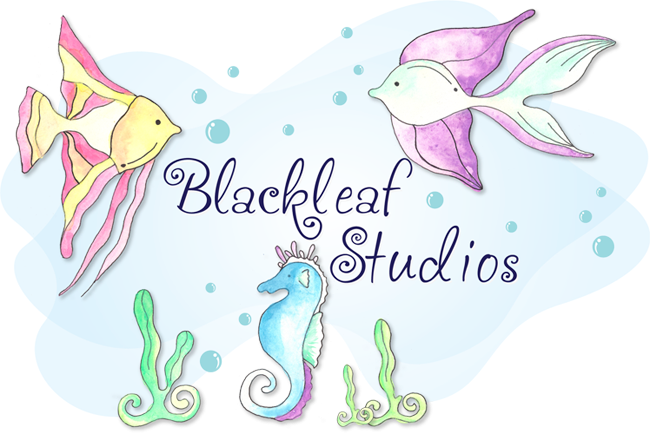 Blackleaf Studios: Stamp it up Wednesday! Little teapots, how cute are they? 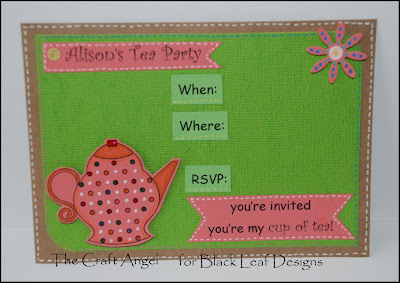 I made an invitation for a tea party and a matching place card. 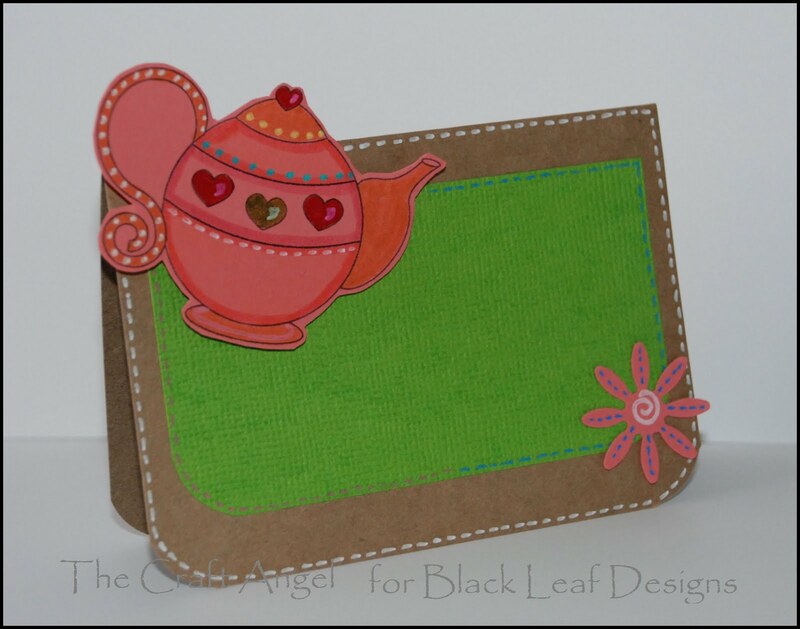 Hop on over to the Shop for this adorable teapot digi set. The set is great for party invites, thank you notes, cards, etc. The images are a lot of fun to colour in and they'd be perfect for paper piecing too! And now for the lucky winner from yesterday's comments - Julye! Congratulations! Please email tanvi.blackleaf@gmail.com for your free image. Don't forget to leave a comment here for your chance to win a free image. 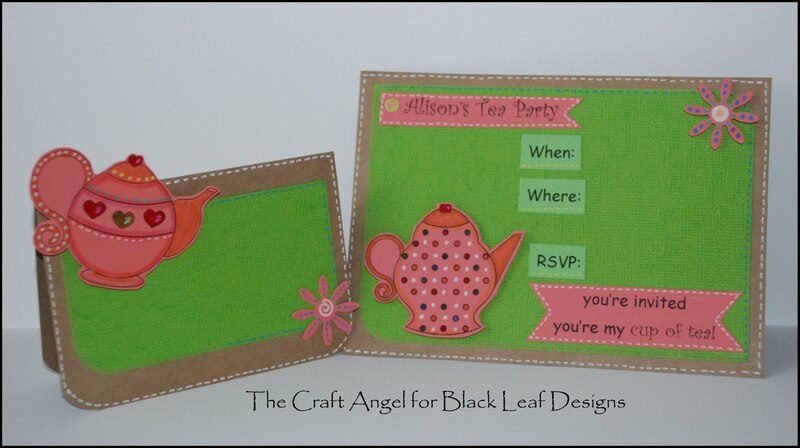 And do come back tomorrow for another Black Leaf Designs inspired project!